The Security Analyst Summit is an annual conference organized by Kaspersky Lab that brings together leading researchers and experts from all around the globe. The conference provides an exclusive atmosphere that encourages debate, information sharing, and display of cutting-edge research, new technologies, and ways to improve collaboration in the fight against cybercrime. 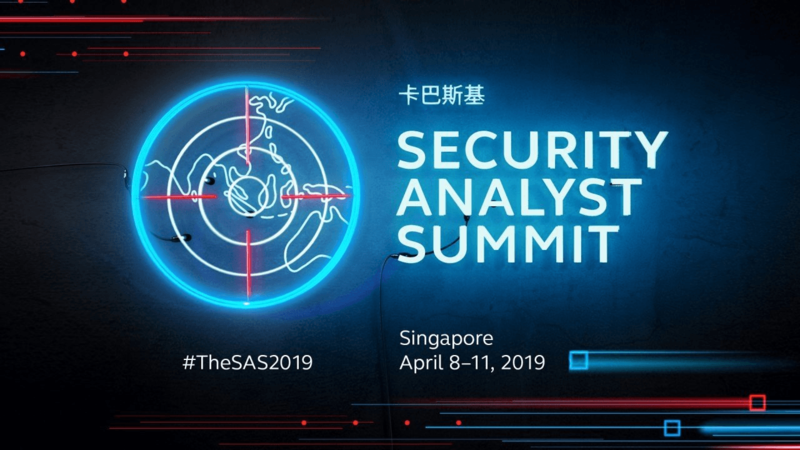 With #TheSAS2019 fast approaching, I talked to two members of the Kaspersky Lab GReAT team, Kurt Baumgartner, principal security researcher and Jay Rosenberg, senior security researcher, to find out what is expected of the highly anticipated event. Why is SAS important for the industry and people starting out in the field? Jay: SAS is important because it is not just a conference, it’s an experience. Not only do attendees get to hear about the latest threat landscape from top security professionals, but they are invited to participate in unique activities outside of the conference venue with other industry peers – all of this in an exotic location (past locations include St. Maarten and Tenerife), allowing attendees, especially industry newcomers, to network with one another in a more personal fashion. Who should attend SAS and why? Jay: Industry professionals and law enforcement should attend; it gives them a place to network and learn about the newest threats. Also, in the industry, a lot of the latest security posts and threat updates are spread through Twitter first, so this is a great opportunity to put a face to an online handle of those top researchers you might follow. What can people expect at SAS 2019? Jay: Every year at SAS, the greatest security-related research in the world is unveiled. People can expect this to be true in the upcoming SAS as well. Kurt: The SAS conference brings together and presents the highest quality security research in the world. Security researchers, network defenders, CSOs, cyberinsurance analysts, and others can all expect more high quality talks and workshops by researchers from the US and other countries this spring at SAS2019. What are you looking forward to at SAS 2019? Jay: I would not miss the talk on the TRITON attribution by Nathan Brubaker! Kurt: I’m excited that our new Singapore venue provides a fresh space to elevate our consciousness to a new plane. This year’s Security Analyst Summit will be held in Singapore from April 8 to 11. Be sure to keep up to date with the news and action by following Kaspersky Lab on Twitter and by following the hashtag #TheSAS2019.